Our firm is an association of attorneys providing legal services in estate planning and administration, will and trust disputes, guardianships, business transactions, litigation and tax law. Cremer & Cremer has developed a longstanding reputation for service and excellence in advocacy over two generations. 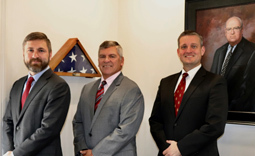 Today with three attorneys, we are recognized as one of the leading estate and trust law firms in the state. Very few firms offer the kind of comprehensive service we do, from estate planning, probate and estate administration to estate and trust litigation. We are a true full-service firm that can handle any issue that may arise in the area of estate and trust planning, administration and litigation. At Cremer & Cremer, your issue will be handled personally by an experienced attorney. However, you can expect your billings to reflect the modest size of the firm. We will take the time to understand your unique concerns and objectives and provide sound, compassionate advice that you can trust. We respect and value the voices and concerns of our clients. From your initial consultation through the final resolution, you will be treated with dignity and respect. Many estate or tax planning attorneys will never set foot in a courtroom. 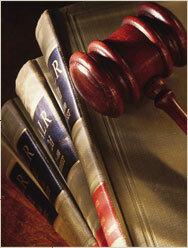 Our attorneys offer the sound counsel of a transactional attorney coupled with the strategic advocacy of a litigator. We have become the firm that many estate planning attorneys will turn to for assistance in will and trust contests, tax litigation, disputes, and appellate cases. We have an excellent reputation for success for our clients, both in the trial courts throughout the state, and at the appeals level. Contact Cremer & Cremer for an initial consultation or case evaluation with an experienced Indianapolis, Indiana business litigation, estates, and tax lawyer. We offer a tradition of service, advocacy, and results to business and individual clients statewide.